Here's yet another reason to be jealous of Jeremy Clarkson: not only does he have arguably the coolest job in the world as a Top Gear host, that gig has netted him a very large pile of money. 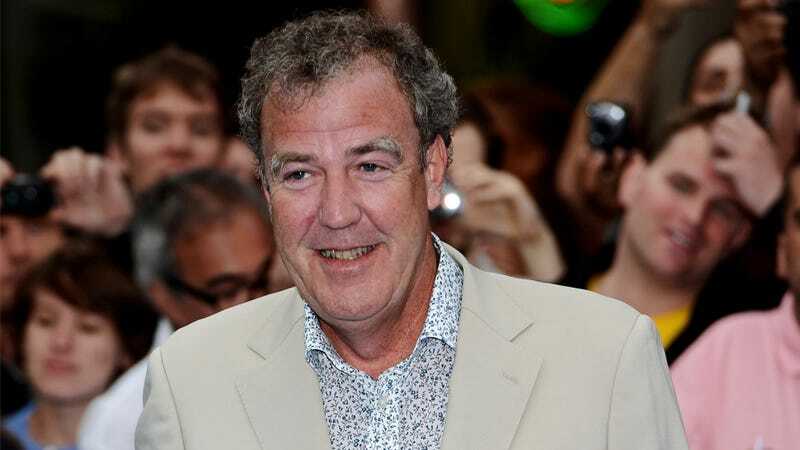 The BBC's recently-released annual report reveals that Clarkson took home more than £14 million, or about $21.15 million, last year thanks to various involvements with Top Gear. First, he made £8.64 million, or about $13.06 million, in a deal that resulted in the sale of the company which controls Top Gear's commercial rights to the BBC. Last year, BBC Worldwide struck a deal to take full control of Bedder 6, the joint venture company that controls Top Gear's merchandising, DVDs, live shows, and international versions of the program, according to The Hollywood Reporter. Bedder 6 was owned 50 percent by the BBC, 30 percent by Clarkson and 20 percent by executive producer Andy Wilman. But with the BBC taking full control of Bedder 6, Clarkson made $13 million, and that's on top of his salary of nearly $1.5 million, as well as a $7.3 million dividend payment from the Bedder 6 deal, according to The Guardian. He is the highest paid earner at the BBC. "No licence fee income was used by BBC Worldwide to pay the exiting shareholders of Bedder 6 in 2012," said a spokesman for BBC Worldwide. "In just five years the business grew its profits five-fold (and its revenue to £149m), which would not have been possible without the involvement of the show's creative talent. The deal also secured the future of the Top Gear brand for the BBC and BBC Worldwide and we now benefit from 100% of its profit stream." Over the last five years, Clarkson has made more than $15 million in dividends from the Bedder 6 arrangement, the newspaper reports. An insider said: “James and Richard have watched Jeremy making a fortune out of the show for years, massively outstripping their own ­earnings. The new deal sees Clarkson sign a three-year contract to continue hosting the show with May and Mirror motoring columnist Hammond. All three will earn a dividend from the show’s global success in exchange for them promoting it around the world. Hopefully, they can all share the wealth now. I'm certainly not judging any of them for it — Top Gear is a massive success and they deserve to benefit from it.